Your home’s air conditioner is a critical part of your property. You must keep it working at all times to ensure that it won’t struggle with hassles relating to certain pieces around your unit not working as well as needed. Today you can get various home AC parts and accessories for all parts of your air conditioner so you will stay fully chilled and cooled off. However, some parts are easier for professional services to install. Many HVAC specialists in Dallas can work with different duct jackets to protect the ducts around the AC unit. Duct jackets are designed to insulate the ducts in your home, thus keeping them from bearing with heat or air losses. You must get a professional to take care of such problems in your home so they will not be any worse to handle than needed. Circuit boards are often found on many AC units. These are designed to make it easier for power to be distributed evenly to the entire AC unit. This in turn will create a better setup that is not too complicated or hard to operate. However, a specialist will have to get a circuit board reviewed within any HVAC setup so it will keep power running right without risking any further losses over time. The filters within an air conditioner must be analyzed carefully to ensure that they will stay functional and ready for use. An air conditioner can be treated with only the finest filters that are not only able to fit into a spot but can also be replaced as required. You must be certain that you get your filters cleaned out or replaced on occasion. An HVAC specialist can securely take care of your filters and clear them, fix them or even get new models as quickly as possible. The fans in an air conditioner unit can wear to the point where they might become dirty or potentially loose and misaligned from the rest of the AC unit. This can be a real problem but it does not have to be too harsh if you are able to get a proper fan installed or at least adjusted in some manner. 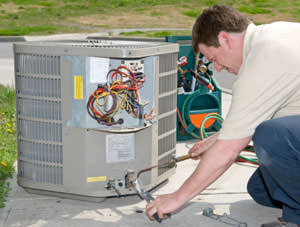 An AC expert can help you to fix up the problem and get it all repaired with care so your space will be treated right. A good condensing unit can be serviced or even replaced as needed. It can be restored to clear out old debris and components that might get in the way of how it works. This in turn will provide you with a clearer and easier to handle component that is not too hard to work with. Remember that your home AC unit can be critical to your success. Be sure to watch for how the AC parts and services you are getting will work for your general requirements so you will get the coverage and support that you deserve. This entry was posted in Air Conditioning Services, Plumbing and Heating Parts and tagged ac parts, home ac repair by admin. Bookmark the permalink.